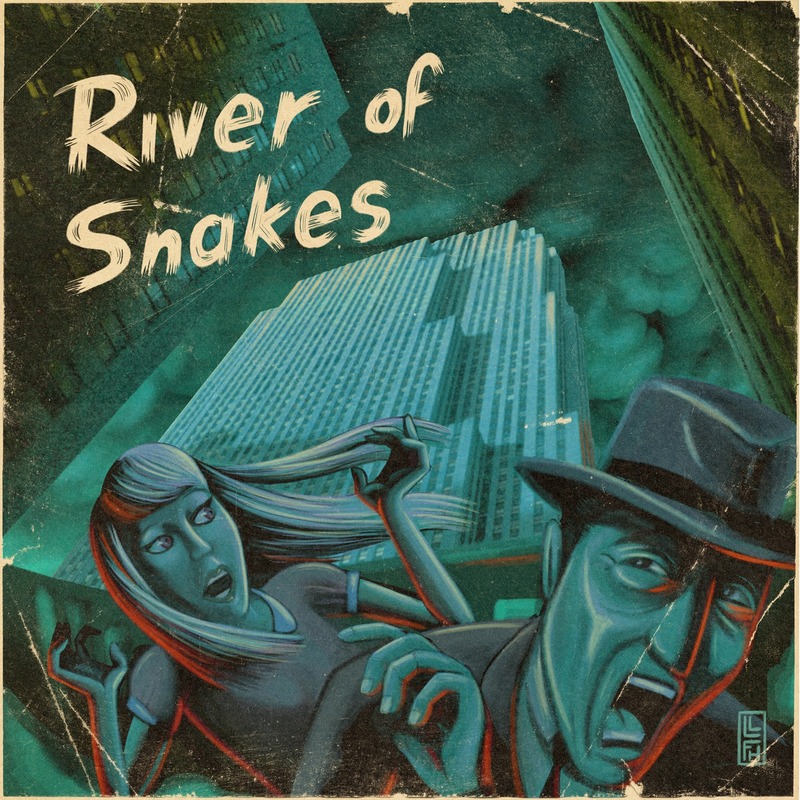 River of Snakes is a three piece rock band from Melbourne consisting of musicians you might know from other australian groups like like Magic Dirt, The Loveless or Hotel Wrecking City Traders. July saw the release of their debut record "Black Noise" and what you can hear on this album is an excellent mix of noisy rock sounds and very precise songwriting. What sounds at first like a very fuzzy and feedback laden LP quickly turns out to be hiding some pretty catchy hooks and entertaining rock music. Its the blend of rough riffs, heavy instrumentation and a certain punk character that makes River of Snakes a stand out band on "Black Noise". Definitely not your average punk band but one that moves in the spheres of 90's Grunge Rock, heavy influences and the dirty sounds that create their very own and genuine moods. Get the full stream on Bandcamp.